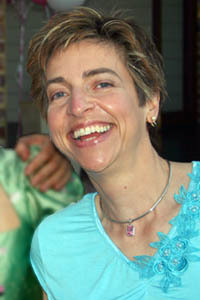 Gillian Walker is a video editor of more than 20 years experience. She majored in Film and Television at WAIT (now Curtin University), and has since pursued her career both here and overseas. Gillian began her career as a freelance assistant film editor. She subsequently began a traineeship with Channel 9, Perth as a videotape editor and since then she has worked in a variety of positions editing news, current affairs, drama and documentaries. In addition to work for STW 9 and TVW 7 in Perth, Gillian has worked internationally for British Sky Broadcasting, the London News Network and ABC(America). At B-Sky-B Gillian was a senior editor and shift leader, she also worked on location for major international stories such as the first Gulf War. She also spent time as the editor of their nightly current affairs show "Newsline". At London News Network Gillian worked as features editor on their flagship nightly magazine-style programme "London Tonight", where she gained extensive on-line editing experience cutting a variety of items for "London Tonight" and doing occasional documentary work. Since returning to Australia Gillian has chosen to work as a freelancer. She continues to maintain links with local television stations, working in a freelance capacity for both STW 9 and TVW 7. As well as regular news editing at TVW 7, she has served as relief editor on "Today Tonight", and has provided in-house staff training on their non-linear editing system. Gillian's broad ranging experience suits her well to freelance work as she is able to work comfortably in a variety of styles and genres.